Mark's Mailbag are occasional posts to the blog in response to questions people submit on the Fishing 411 website. Mark personally responds to the question and when relevant, we repost his answer here. If you have a question you would like to ask Mark, please visit us at fishing411.net/contact. A nice mixed mess of crappie and bluegill. 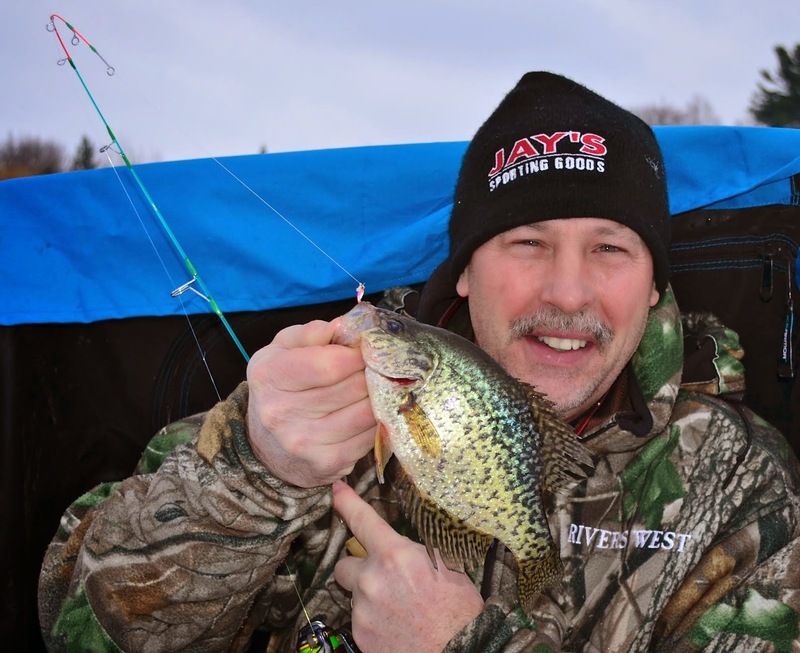 On January 28, 2015, Kent writes: For ice fishing, is there one particular brand of fluorocarbon line that is not as stiff as the others under those very cold conditions? I generally use 2 or 3 lb line for panfish. Mark replies: Many manufacturers are producing two grades of fluorocarbon. One being softer and more suitable for main line use and a second stiffer and more suited to leader material. The softer fluorocarbon lines are widely used by bass fishermen who like the reduced stretch of fluorocarbon compared to monofilament. Unfortunately in ice fishing conditions even these softer fluorocarbons become stiff and unmanageable. 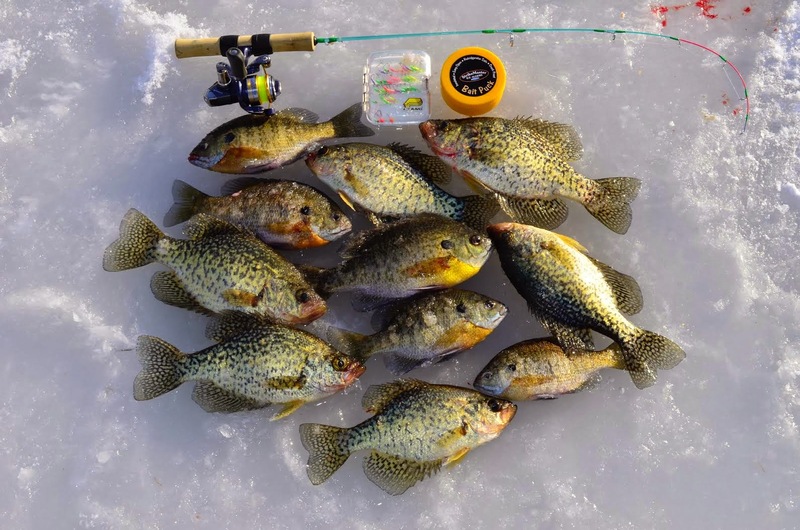 Also for winter panfish using softer fluorocarbon as the main line is a bit of a compromise because lots of bites are detected by watching the line move. It’s tough to see fluorocarbon above the ice. For panfish I like a high visibility main line and a zero visibility fluorocarbon leader. The high vis main line helps in detecting subtle strikes, especially from fish that strike from below and move upwards in the water after taking the bait. I use Maxima fluorocarbon which is a little stiff, but it also has exceptional abrasion resistance and great knot strength. I connect the two lines using a Double Uni Knot to attach a 24 inch leader of fluorocarbon leader material to my monofilament main line. You can learn to tie the Double Uni Knot at www.animatedknots.com. Using fluorocarbon leader material as main line causes significant problems because in icy water the line will want to coil off the reel spool every time the bail is opened. For my money the best compromise is using high vis monofilament as the main line and premium fluorocarbon leader material at the terminal end. Thanks for writing Kent.